From Chennapattinam to Kanpur the journey has been long. But before we go the connection, here is some insurance associated with Cricket. 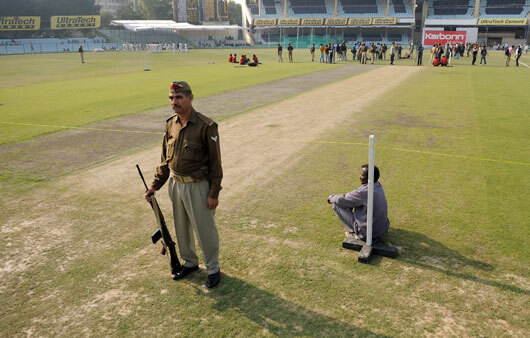 The Orissa Cricket Association (OCA) has insured the one-day international cricket match, which will be played between India and Sri Lanka at the Barabati Stadium in Cuttack December 21 for Rs 14 crore, learnt to be covered by Oriental Insurance Company. The insurance cover includes public liability insurance in case of a terrorist attack or a bomb blast. The primary cover is against natural disasters such as rain and storm and disability or loss of life caused to any spectator during the match. The premium is reported to be around 5 lakh. Recently, the last ODI between India & Aussie to be played at DY Patil Stadium in Navi Mumbai was abandoned without a ball being bowled. Mumbai Cricket Association (MCA) had insured the game for Rs. 6 crore against natural perils such as cyclone, lightning as also against perils such as abandonment following death of political leader, riots, civil commotion etc., it is reported that this was also done by Oriental who had to pay the claim. Cricket match policies are called “one ball bowled” policies and lapse after even one ball is bowled in a match. The city of Kanpur in the Uttar Pradesh, located on the bank of river Ganges has been happy hunting ground for the Indians. The Green Park stadium has hosted a number of test matches and one day internationals. This is India’s sixth at Green park making it a very successful venue. This stadium hosted its first test in the January of 1952 and the first win came in Dec 1959 against the visiting Aussies. 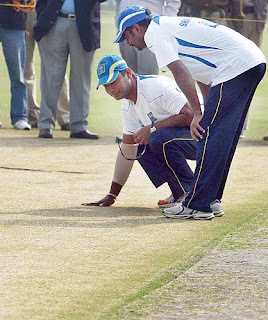 Offie Jasubhai Patel took 14 wickets in that match. In this ground Subhash Gupte once took nine WI wickets in an innings conceding 102 and could have had the remnant Lance Gibbs but for a dropped chance by WK Naren Tamhane. The dream spell could not ensure victory as it was overshadowed by fiery Wes Hall and later in 1983 Malcolm and Co. hurled everything short at Indians after the WC loss. Sangakkara probably misread the pitch and went in with 3 spinners. 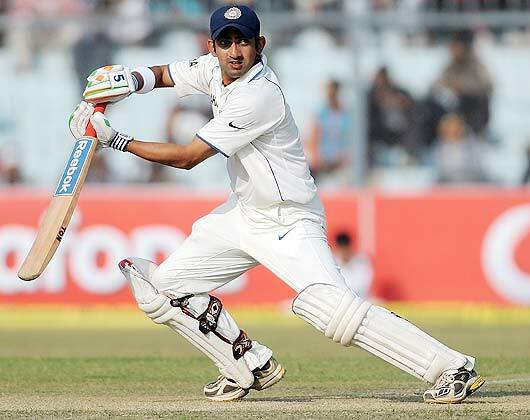 India compiled 642 with the top 3 notching centuries. 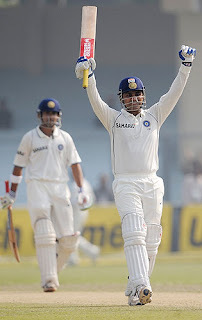 On the opening day, India amassed runs at a frentic pace mainly due to swashbuckling Sehwag and Gaurav who has made it a habit to score back to back centuries. 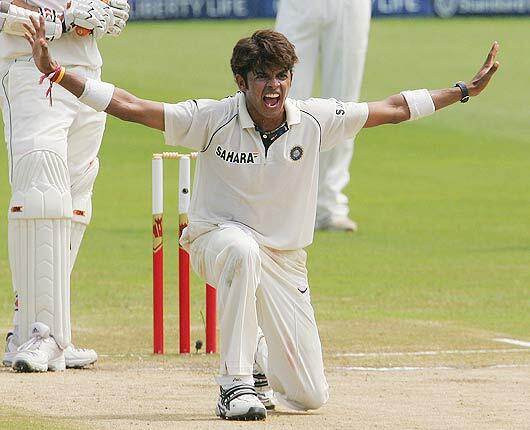 Lankans were bowled out for 229 mainly by a spell by Sreesanth ending 19 month isolation with 5/75. After that it was a matter of when and not whether. Lankans improved marginally in their second scoring 269 – the result was a win by an innings and 144 runs. This clinching win in 4th day is our 100th win in Tests. To those not updated with statistics, our first Test victory had come in 1952 at Chennai. In total, we have played 432 matches till date. There are six teams which have 100 test wins and amongst them India does not compare favourably finishing last. Our team has gained winning momentum of late and in the current decade have won 39 out of 102. If you are still interested in some more statistics, our first win had come against England – Test no. 348 played in Feb 1952, captained by Vijay Hazare and played at Chepauk, our own Chennai. The visitors playing first made 266 with Vinoo Mankad finishing with 8 for 55. Aided by a brilliant century by Pankaj Roy and 50 by Phadkar, Indians declared at 457. in the second essay, visitors could muster only 183 with Ghulam Ahmed and Vinoo sharing the spills with 4 wickets each.